» RING RING!!! 2005 called…they want BLOGGING back! Grab your free copy of 50 Ways! 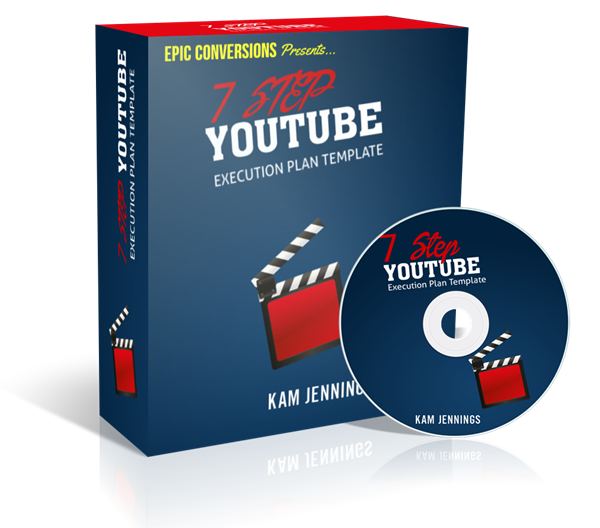 Free 7 Step YouTube Execution Plan! RING RING!!! 2005 called…they want BLOGGING back! Have you ever noticed that nobody is commenting on your blog anymore? …and the only comment you got was “Aksherinkah” who apparently wants to talk about…soap? YOu got several shares on the ol’ epic skyscraper blog post but nobody is talking. Well…at least they aren’t talking on YOUR blog. The conversation is now on social media. People would rather share your blog post on facebook or pinterest, twitter or instagram and talk about it there than actually hang out on your blog and comment. This matters for a few reasons. YOu used to consider the blog the core of your business. The headquarters, if you will. Stop thinking like that because honestly it really never was. The blog is simply a storefront. Not a literal storefront man. It’s the face of your business, not the core of your business. The same thing that was the core of your business in 2005…it’s just easier to see it now. Last year over 80% of my revenue was generated by email transactions. The blog exists as a nice face for your business. When you put content on the blog it’s purpose is to pull in organic traffic from search engines and put people on your email list. Now look, content is the lifeblood of the internet. You don’t need to leave your content on just your blog and work on driving traffic to your blog that nobody cares about. It’s nonsense. It’s like fighting an uphill battle. YOu guys know you should always be thinking outside the box. Why not take that same blog post and reposition it as a facebook status update. Just plain text. On the blog the content serves as a lead generating piece. On facebook the content is building authority and audience. Why not take that same blog post and load it into your autoresponder as a nice healthy email to your list. In your email the post is designed to be goodwill and keep your list warm. Why bother sending them back to your blog? They are already on your list. They are already where I want them. DO I want to keep people on my blog or do I want to keep people on my list? So yeah. I’ll just send my list the blog post as an email. My goal is to help them AND stay in business. Why do I want to send my audience away from the place that generated 80% of my revenue to my crappy blog that they don’t really want to hang out on anyway? If 50% of my traffic falls off at every decision point…why do I want to send them to meaningless places that have no purpose for them? If I’m trying to tell a story…if I’m trying to teach something…I can do that right there in the email. I’ll save the links out for when it matters. Does that mean you don’t need a blog? I think you need a blog like McDonald’s needs those Golden Arches. It’s a face for your business in 2017, not a core. It’s that idea that people can go somewhere and be surrounded by your business’s message. They can look at the logo, they can visit the pages, and they can have a sense of belonging to something or being a part of something. A club mentality, if you will. It’s an audience strengthening position. But don’t make the mistake of spending hours upon hours driving traffic to this dead zone that nobody really wants to hang out at anymore. People are already on facebook. They like facebook. They don’t want to leave facebook. Get them on your list. 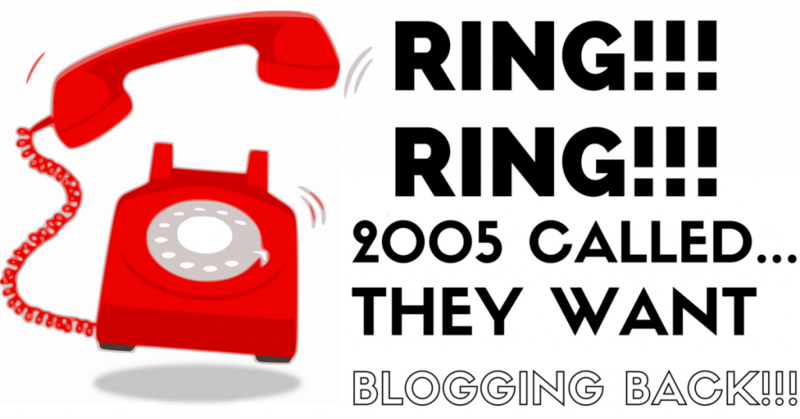 2005 called…they want their BLOGGING back! I say give it back. 2017 is the year for a new kind of blog. A Golden Arches kind of blog. Stop “sharing” your latest “masterpiece” to social media hoping to generate some engagement and start repositioning the damn thing for maximum benefit. Yeah that’s me sweetheart! And I’ll be here all day long! Dropping threes on that dome! I’m Kam, some people call me ZeroFatz and that’s all I got! I’ll see you in the next one! Kam Jennings (aka ZeroFatz) is a full time mid-level internet marketer who makes 5 figures a year selling information products online. He is not rich and does not drive a BMW…However he does support a family of four with what he earns online. He specializes in Youtube, inbound marketing, product creation, membership sites and affiliate marketing. 10 Reasons Why NOBODY Cares What You Have to Say on SOCIAL MEDIA! Copyright 2016 by Epic Conversions.